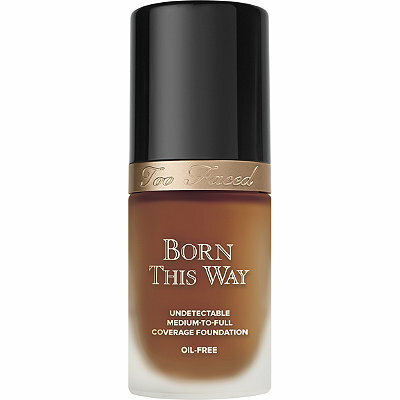 Too Faced Born This Way Undetectable Medium-to-Full Coverage Foundation is an oil-free foundation offering medium-to-full natural coverage. Inspired by “I woke up like this” perfection, Too Faced Co-founder and Chief Creative Officer Jerrod Blandino set out on a mission to create a foundation so undetectable you can go ahead and lie with beautifully natural coverage that will have everyone thinking you were Born This Way. This oil-free foundation masterfully diffuses the line between makeup and skin. Coverage so undetectable, they’ll think you were Born This Way.